Tool Blog Did Rockwell Just Come Out With The Best Oscillating Multi-Tool? 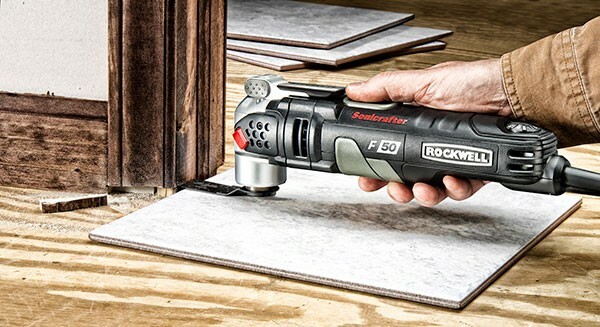 Rockwell has just announced a pair of new Sonicrafter oscillating multi-tools with specifications that seem to top all the other competing brands. With all of the multi-tools on the market from a number of different manufacturers, could it be Rockwell that knocks Fein off of Oscillation Hill? When I write about oscillating tools I make it a point to mention the total oscillating angle that each particular model provides, because I believe this plays a part in how well the tool functions. The other thing that plays a part is the amount of power each tool can deliver. Most oscillating tools have an oscillating angle of 3.2 or 2.8-degrees, but Fein’s newer models have an angle of 3.4-degrees. Rockwell has always been close with 3.2-degrees, but their new model F50 (RK5141K) completely blows everyone away with an oscillation angle of 5-degrees. Even their new lesser model F30 (RK5131K) has everyone else beat with an angle of 4-degrees. Rockwell also seems to be delivering the power these tools need as well. 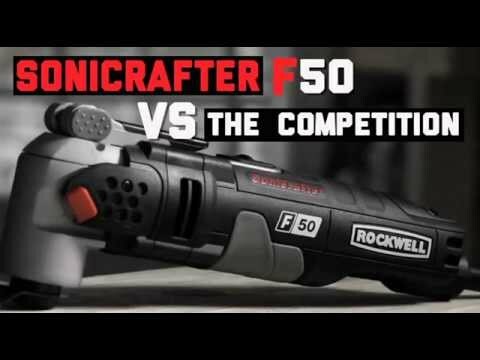 The Rockwell F50 features a 4.0 amp motor, while the F30 has a 3.5 amp motor. They say this provides a max cutting load of 35 lbs. and 30 lbs. respectively for each tool, anther industry-best. This means you can push them harder before they stall-out. Larger oscillating angle + More power = More vibration? Apparently not, thanks to a counterweight system that offsets the larger oscillation angle. Rockwell says all these features add up to produce a multi-tool that cuts five times faster than the Sonicrafter RK5121K. If all that still wasn’t enough, both models also feature a built-in LED task-light, the Hyperlock tool-less blade change system, a universal accessory interface, variable speed dial (11,000-20,000 OPM), a 10-foot cord, and bunch of accessories. The Sonicrafter F50 (RK5141K) sells for $139 BUY - Amazon, and the Sonicrafter F30 (RK5131K) for $119 BUY - Amazon, which kind of sounds too good to be true, but we will just have to wait and see.